The O’Tom Tick Twister is a safe way to remove ticks easily from your pets. Ticks can be found not only in the countryside but also around urban parks and gardens. They are most active between April and October due to the warmer weather. The Tick Twister is the best and safest way to remove ticks from your dogs and cats without leaving the mouth parts of the tick planted in the skin. 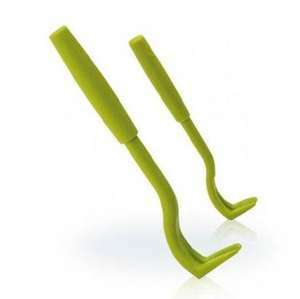 The Tick Twister tick remover tool reduces the risk of infection. The O’Tom Tick Twister reduces the risk of infection that can be caused by other tools that squeeze during the tick removal process. It is quick, painless and easy to use, and can be disinfected or sterilised. Available in two types, either with or without silicone grip. The Silicone Grip Handle enables you to be even more precise and safe when removing ticks. Pack of 2, colours may vary.